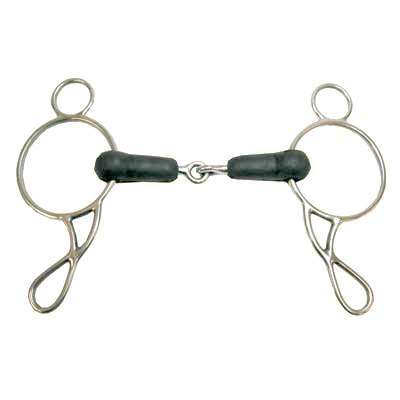 The Adjusta Bit Wonder Gag Bit by Coronet that we offer is a Top Quality item for your Horse. We strive to offer the lowest prices for our Gag Bits and your complete satisfaction is our number one priority here at Horse Tack Now. This particular gag bit was engineered to last for many years. Rest assured you are getting top quality horse tack items designed by the most respectable equine engineers worldwide. The Adjustabit gag bit allows you to adjust the bit size by twisting the shanks in opposite directions adjusts from 4 1/2'' to 5 1/2''. We offer thousands of discount horse bits be sure to check out our full collection and we are certain you will find what you need.